You can’t deny that Doctor Who fans have a sense of humour. Following the announcement on Monday that a painting found languishing in a Norwegian attic was a canvas by the Dutch artist Vincent Van Gogh, Doctor Who fans have identified the mysterious blue building in the top left hand corner as the TARDIS. 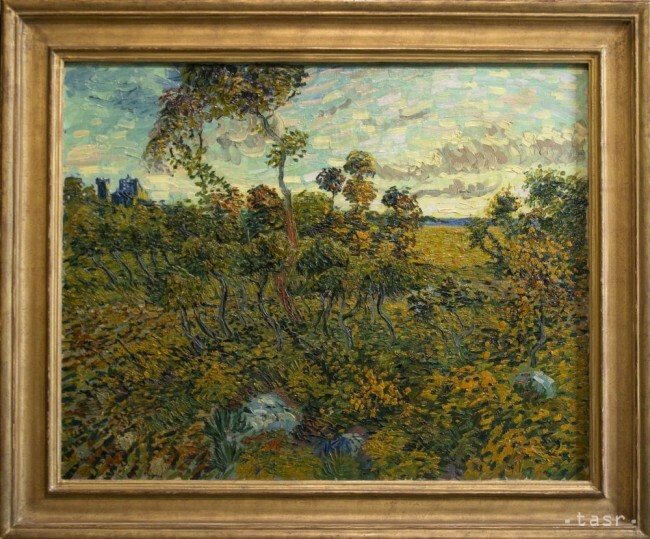 Van Gogh is a favourite of Whovians following the Series Five episode, Vincent and the Doctor (2010). 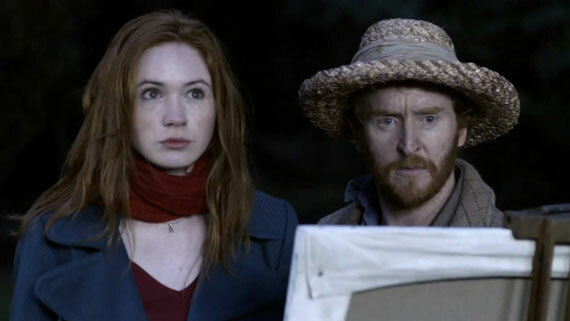 Tony Curran appeared as Vincent Van Gogh in the 2010 episode Vincent and the Doctor. He is pictured here with Amy. Andy Macdonald of the CBC New Community Blog posted an article on the TARDIS revelation yesterday. Macdonald’s article can be found here. You can read about the discovery of the lost masterpiece, Sunset at Montmajour, here.